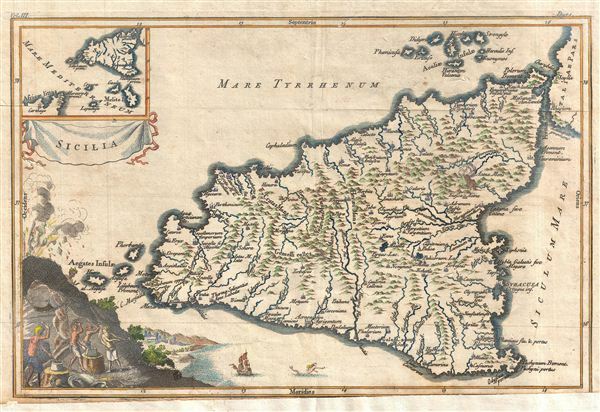 An obscure little map of Sicily, Italy, of unknown origins. Stylistically this map is late 18th century. Decorative cartouche in the lower left depicts a Volcano under which blacksmiths hard at work, beyond, mermaids frolic in the sea near a lovely coastal city. Shows mountains, rivers, and major cities. Most likely of Italian origins. Average. Original fold lines. Lower margin trimed and extended.